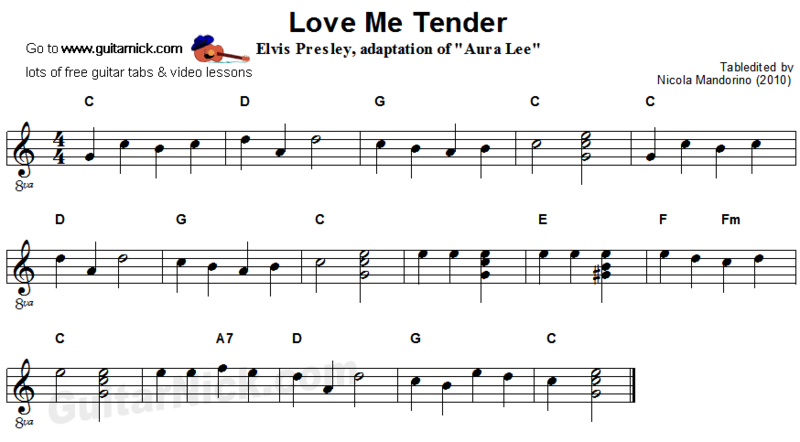 These are two my easy arrangements for beginners of this popular song by Elvis Presley well known as Aura Lee. 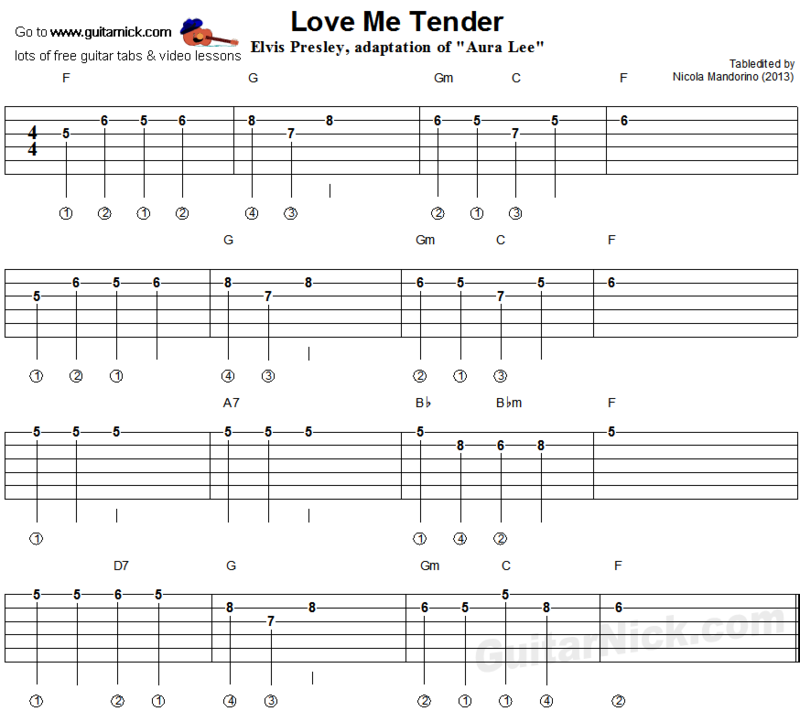 The tab2 shows a medium level guitar version in F key. About the second video at the beginning I played the melody as it is written in tab2. In the second part I made some simply changes, try to copy me watching the video. 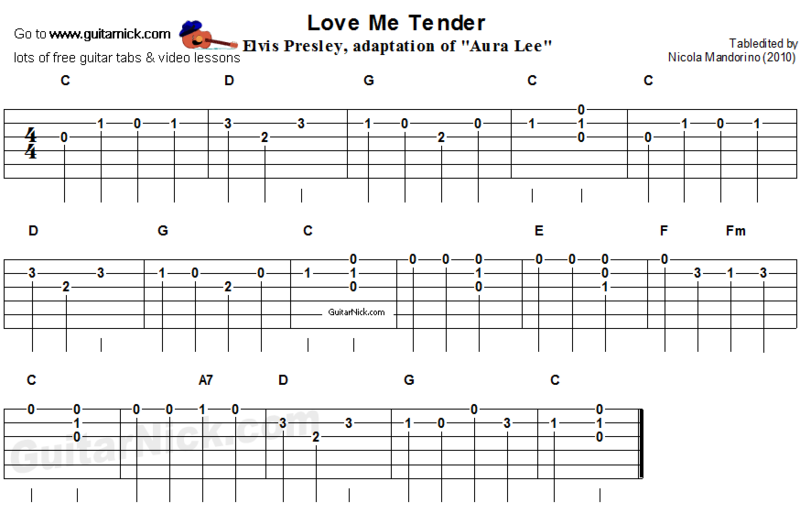 Learn how to play it easily with accurate tablature for guitar, sheet music, chords and video tutorial.